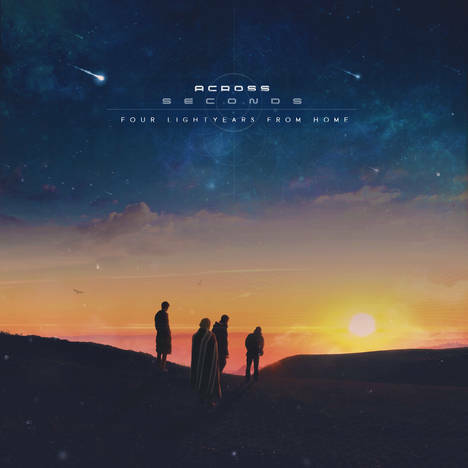 Four Light Years from Home | Across Seconds | OK Listen! Four Light Years from home. The story revolves around four individuals who have embarked on a journey to Alpha Centauri, where humanity has discovered a planet which has a distance to its sun similar as compared to the distance we have from ours. Because Earth is facing climate change, wars, famine, and other society-ending problems and we are beyond the point of no return, explorers are heading out to observe the habitability of the planet, first-hand, to restart society with a fresh start on a virgin world. All music written & performed by Across Seconds. Additional Keyboards Recorded by Jason Pereira. Drums recorded at Grayspark Studios, Pune, India. Recorded, Mixed and Produced By Mangesh Gandhi (Coshish) at Mangroove Studios, Mumbai,India. Mastered at Fascination Street Recording Studios, Sweden. All song Artworks created by Aaron Pinto, India. Album Artwork created by Sigma Collective, USA.